I look so bundled up and excited for fall/winter! 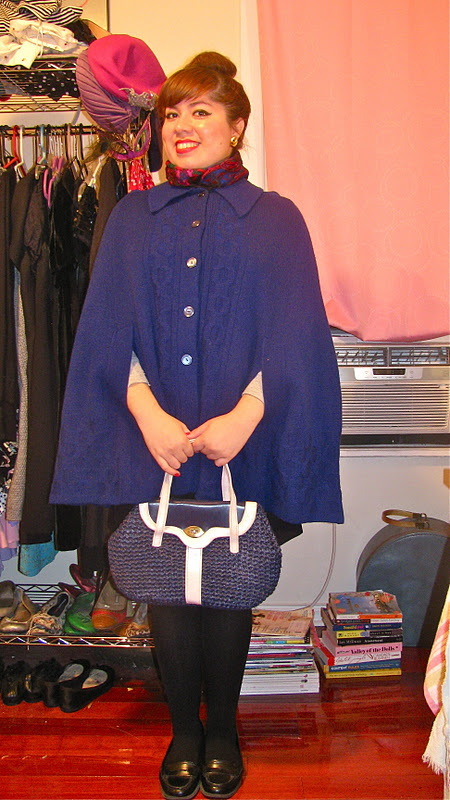 Cape: Beacon's Closet; Scarf, Earrings, Bag: Vintage; Shoes: Bass; Tights: Hue; Skirt: Express; Top: Second-hand. 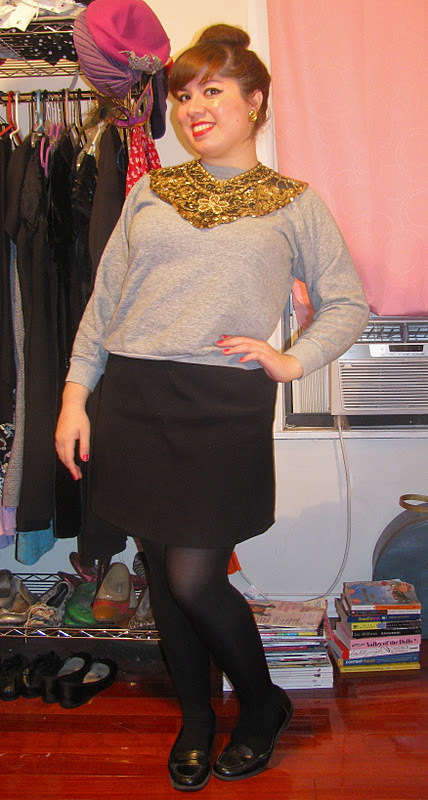 I got this necklace/collar at the flea market not too long ago, but I'm still figuring out how to wear it. It's a pretty amazing piece that I scored for $10! It'll dress up any plain jane shirt.